The prospect of removing and starting your life in a new country can be exciting and frightening at the same time. Planning and organizing your pre-moving days is the most important thing. It’s normal to want all your belongings to be safely removed, and the best way to assure that is by hiring a reputable removal company with experience in international removal. While making a detailed schedule, packing plates and silverware, preparing the dogs for the long journey, a question may pop — what to do with my precious begonias and that stubborn cactus that refuses to give up even when I forget to water it for two months? Plants are an essential part of almost every home and its natural to be attached to them. So, let us help you with advice on how to successfully expedite a home removal without having to let go of your green, leafy family members. 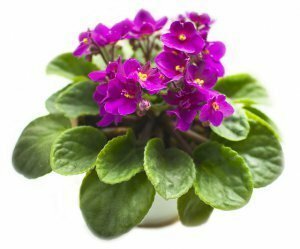 The most important thing to remember is that plants are living, breathing beings and almost all house plants need certain temperatures to be maintained in order to keep them alive. That said, Norway is a cold country, and every removal expert will tell you that late autumn and winter are not the best seasons for a relocation. If it’s possible, try to organize your home removal in the warmer months so the stress on the plant will be reduced and their journey will be far easier. Another important thing you have to think about is country regulations. Before moving you have to check if you can bring a particular plant in Norway. Again, the professional coordinator from your removal company to Norway can help you with that information and, if necessary, can take care of any customs documentation. If you are a passionate gardener and you have an outdoor garden, it’s best to reconsider to move your plant to your new Norwegian house. If you are not fully prepared with a closed greenhouse, your plants may not be able to survive the harsh northern climate. However, if you are taking them with you, you must take into consideration the type and chemical structure of the soil in the new habitat and its compatibility with the plant’s needs. A long-distance move such as the one to Norway may cause big stress to your plant. There are three important stages that you have to plan for and be ready to perform in order to assure the safe arrival of your plants in Norway. The first stage starts approximately a month before the actual removal and continues up until two to three days before the relocation starts. For stage two and three, it is essential to coordinate very well with your Norway removal company and entrust them with your home removal requirements. 1. You must re-pot all plants in unbreakable plastic pots — plastic pots are lighter and easier to carry and the chance of breaking the plastic pot and damaging the plant is small. Trim where possible — take a good look at your plants and cut all excess branches, leaves, and foliage so your plant takes as little space as possible. 3. No unplanned travelers — inspect the soil and the plant for any worms and insects. If needed treat the plant, be sure to transport only the healthy ones. Don’t forget that you are moving the plant across the border in a different country far to the north. It’s important to get rid of any potential hazards to the Norwegian ecosystem by contaminating it with unnatural species. 4. Last minute reassurance — if you want you can take cuttings of the plants with you. Store them in a plastic bag containing damp material such as peat moss or perlite. Don’t seal the bag tightly — the cuttings need to breathe. A good alternative is wrapping their bases in a wet paper towel and securing them with ties or rubber bands or using floral tubes filled with water. The ideal conditions are when the cuttings are rooted, which means you have to take them at least a month in advance. 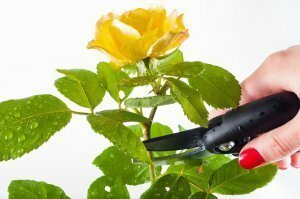 If you want the cuttings to be fresh, you should consult with a specialist from a flower shop. Different types of plants have different demands. If you are unable to take some of your houseplants with you, don’t be gloomy, there are a lot of beautiful species native to Norway that you can purchase and take care for after you remove there.